In fact, unless there’s something I don’t understand, it seems like any of the all-in-one instrument displays — like the new Raymarine i70 and B&G Triton I hope to see in Newport tomorrow — could be a nifty onboard anchor watch. Low power draw and access to GPS data are the main prerequisites, but having heading, wind, and depth is also useful. I understand, though, that Furuno built lots of memory into the RD33 and has intentions of updating the firmware as users (and boat builders, fleet captains, etc.) request new features. At the moment an update may require having a NavNet 3D MFD with a SD card slot, but here’s hoping that more manufacturers come up with N2K update gadgets like Garmin’s or, perhaps better yet, that we get to the point where such updates can be done via a Third Party Gateway like the Actisense NGT-1. At any rate, I like the RD33 quite a bit so far, but I’ve got lots more to try out on it. For instance I’d like to check out that unique layline screen I highlighted last year…maybe it’s an idea that the other manufacturers should borrow (like Ray’s little i70 AIS plotting screen). But then I realized that you can’t input waypoints into the RD33 like you can its GP33 sibling (which I tried last summer) and that got me on the interesting subject of waypoint info sharing on an N2K network. Initial findings are that the Furuno MFD12, Garmin 7212, and Raymarine E Wide all seem able to output a waypoint’s position, bearing to, distance to, and XTE, though you may need to turn on the PGNs (Furuno) or activate bridging (the other two). But I’ve yet to see the RD33 display a waypoint name from any of these MFDs, though, and it was worse to learn that neither Coastal Explorer, MaxSea/Trident TZ, or Admiral 11 can output any PGNs via the Actisense NGT-1 gateway yet, as discussed on the forum. However, I’m finding the RD33’s ability to list live data for every PGN it knows all on one screen, instead of by device, useful to trouble shooting. More soon, but Newport first! Not bad, but from the photos alone the B&G Triton wins hands down. And I totally agree with you comments on the anchor alarm. As usual, this one is only useful to detect boat motion, not to monitor anchor drag since it doesn’t allow you to specify where the anchor is. In other words, this type of alarm is designed for boat that don’t swing around their anchors! If you want the alarm to warn you when you leave a zone centered on your anchor, you have to set the alarm the moment you drop the hook, with no opportunity to change it later. If you dragged a little, tough luck. If you decide to change the range, that resets the alarm with the center wherever you happen to be at that moment, not where you were when you set it in the first place. It would be so simple to write a bit of firmware to have a useful anchor alarm. I don’t understand why nobody seems to care. In fact, I have written such a program in perl. It takes a waypoint from Maxsea and reads GPS sentences to check that you don’t wander off too far from the anchor. Dead simple. But it requires my laptop to be on, the beep isn’t loud enough, etc. Thanks, Pandora, but I don’t know you can pick a winner on just a few photographs. These all-in-ones can all do a heck of lot, but they differ a fair bit, and they may or may not evolve well over time. The Garmin GMI 10, for instance, is nothing like what it was when introduced. By the way, I haven’t tried it yet, but this RD33 is also a powerful two-way data translator between NMEA 2000 and NMEA 0183, which none of the other all-in-ones can do. Not the same class of display, but Maretron’s DSM 250 does have an anchor watch screen/alarm where the user can change the anchor location. I have suggested they add depth and wind speed/direction to the screen. They are pretty good about incorporating suggestions, so perhaps these will be incorporated in a future release. At what point do these $500-700 “remote displays” run foul of MFDs, which are already running in a similar price range with 10X the functionality? 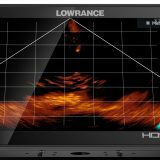 You can pick up a HDS5 for under $600, and it seems it’d only take minor software additions on Lowrance’s part to give it all the functionality of the remote display plus 10 times more, for the same price. Plus, you can display almost EVERY NEMA2000 value, and you’ve got a fully-functional chart plotter, radar display, audio center, etc. The functionality in a HDS5 is staggering compared to the RD33, I don’t really get the purpose except for perhaps some sailing-specific screens and lower power consumption, both less relevant to power boaters. The screens all seem pretty 1990s DOS font-esque, except for the gauge/data display page which bears an eerie resemblance to the top bar of a NSE-series display. Great article, I agree with your position on the anchor watch features. I spend many hours at anchor and have strong opinions on the subject by now. (I’m currently anchored at Penrose marine park – Puget Sound.) I don’t see why the manufacturers don’t implement better anchor features. First, a couple of questions. I see that they claim that the unit uses .1 amp @ 24 volts which seems quite low for a color screen. Is this OLEDs in action? If this is the amp draw at full brightness then I’m very excited by this unit for anchor watch. The other question for such a unit is “how dim does the screen get?” If I have this on while napping in the watch berth, it would be nice if it dimmed to almost zero. The best standalone unit for anchor watch that I have used was the Raymarine RayNav, which was a B&W unit with low current draw, not too much brightness, and the ability to plot your position on two axis. You could tell from the plot if you were dragging, big zig-zags getting further and further away from the center were a bad sign. I did not see a plot function in Furuno’s brochure, is this a feature that you are asking for or is it something that is there? The only equipment I have that has a decent anchor watch feature is the much maligned Nobeltec; it isn’t intuitive but you can convert a mark to a “range circle” and convert the range circle to an “inclusive” zone that will alarm if the boat leaves it. It isn’t hard once you figure it out. I have a GPSMAP 441S that I share between the dinghy and the master stateroom. I use its basic anchor alarm (works but could be easier to set) and don’t really worry about the 100′ or so difference between the actual and alarmed range circle. If I am that close to something bad in wind then I’m not getting any sleep anyway so don’t need an alarm to wake me up. To me, the ideal feature would be to allow me to set a circle based upon two waypoints — one as the center of the circle and one as the limit. My wife sets a mark on our GPSMAP 5212 when the anchor hits the bottom (she has a chain counter in the pilothouse) and another when the boat stops pulling back. From this you can figure the range circle (roughly, my reliable Delta anchor can take a bit of distance to set.) Since I can’t do this on the Garmin, I look at the track on my Nobletc screen and set the range circle from there. You can usually tell about when the anchor sets because the boat’s track straightens out, and of course it is easy to tell how far back you have pulled. The other feature that is useful for anchoring is on my GPSMAP 441S, this is wind ordinal. I’m not enough of a sailor to know instantly that 130 degrees = SE (if it does!). It is nice to look and see that the wind has shifted to SSE as predicted (or not!) becauses noticing that early can influence whether you bail out on an anchorage. So the ideal screen would be a plot with an anchor alarm circle, a wind speed, wind ordinal, and depth. But yeah, since he RD33 has a slightly bigger screen (physically and in terms of definition) than the Triton (unless I misread the specs of either one), there is no reason why Furuno couldn’t match the features of the B&G unit. 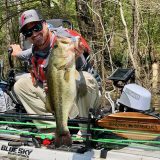 In response to Jeremy on the Lowrance HDS-5, you are correct to a point. The HDS will do many of the same things, however the sensors, cabling and NMEA tie-ins can add up in cost very quickly. I bought an RD33 to evaluate for replacing a suite of old B&G analog instruments. It is STELLAR! But there is a serious omission by Furuno that can, in principle, be easily fixed. There is no way to display TRUE WIND direction relative to the earth or magnetic north!! It displays true wind relative to the boat, but does not recognize the 0183 or 2000 sentences for true wind direction. I have called Furuno USA twice to discuss this and gotten a less than lukewarm response combined with a kind of “huh? we don’t know anything about anything” attitude. I found this very odd, since I think the world of Furuno, and the RD33 has the potential to replace all the analog and digital instruments that one often sees in an instrument pod with several RD33s. Better graphics, great visibility, super easy to set up and change, even at 2am with your brain turned off. I really hope Furuno will address this publically, as I want to buy 4 more of them and cannot do so until the situation is resolved, as I foind true wind direction to be very useful when sailing. While I did not speak with you when you called, OF COURSE, the RD33 can show Ground Wind Direction in either a True or Magnetic North reference. In fact, Ben’s Picture at the very top of this page shows Magnetic Ground Wind Direction in both analog and numeric form! BTW, please make sure your terminology is correct. True Wind Bearing and Apparent Wind Bearing are always referenced to the bow of the vessel while Ground Wind is referenced to either magnetic or True North. Thanks for your reply. As I noted, I like the RD33 very much. I suspected that the display in the picture above was of the ground wind direction, but the version of RD33 I have (not available today- I will check again this weekend) does not display this page as far as I can tell. I have read the documentation extensively (for the unit I bought, about 6 months ago) and cannot find it listed. My two calls to Furuno had no luck at getting it to display. If you can please tell me how to do this I will try it immediately. Clearly I have been wrong, or perhaps my unit predates a firmware change. I am obtaining the wind information from a B&G system which outputs NMEA 0183 data, although I am changing to an NKE system. What sentences are required? I wonder what that little hole is on the front bezel? I just bought a unit as well and mine does not have that. The photos on the Furuno website does not show that as well. Is your an updated unit or from a preproduction run? I guess it is for an alarm buzzer!? Maybe Furuno Tech can help us with this? I bought my unit about three weeks ago. Mind you I bought it in Germany but I am pretty sure they are not any different since the german manual was supplied seperately. It is not inside the packaging. Maybe yours is a newer revision. Didn’t Europe get the RD-33 § GP-33 earlier than the States? I would love to see one of these new displays integrate AIS functionality as a display for a remote receiver. Is that too much to ask of something like this RD-33? 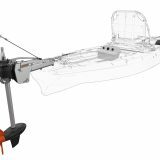 i have read the manuals for the RD 30 and 33 but for my little sailboat minimizing power is of primary consideration, the RD 30 seems to have everthing i need (and much more) but there seem to be none left in the supply chain or secondhand, can the 33 do everything the 30 did ? and what is the power increase. Roger, according to the manual, the RD33 consumes .2 amps at 12 volts, and I’m sure the consumption drops off sharply if you reduce the brightness a bit (as that’s what I always see when I put screens like this on a meter). I haven’t compared the data display specs for RD 30 and 33 but I’d be darned surprised if the 33 didn’t do everything the 30 does and much more. And I believe that a color screen can impart more information per square inch than a monochrome screen can. that are more self sufficient. No progress on the using a NGT-1 usb? I have a VX2 that has given great service, with an sd slot but I guess that is too backward (in)compatible? A very nice display, feels solid, 7 steps of dimming, which went from lighting up the pilothouse, to just readable in the pitch dark at #2 (#1 is backlighting off). Setup was just minutes without even looking at the manual, menus are intuitive and laid out well. Setting up custom screens was quick and also intuitive. One thing I noticed that was missing was transmission oil pressure in the engine PGN list and I cannot find any data anywhere on firmware update procedure. My n2k network includes a SeaGauge A2D converter with all the engine data coming from dedicated sending units on the mains, Vesper XB8000 AIS, the mentioned FI5002, and a Furuno GP1870F. A very interesting note on the GP1870F, it is installed in an overhead panel under the steel pilothouse ceiling, is almost surrounded by steel plate and the INTERNAL gps has a solid fix. Whoa! The 0183 side of my network has a GP37 DGPS, fed to a KVH gyrotrack heading compass, which nicely distributes the DGPS signal mixed with heading data to my autopilot, laptop running nobeltec Odyssey and a Furuno RD30 at a control station on the aft deck. A nice mixture of the old and new, I believe that I will attempt to get the KVH heading onto the n2k network through the RD33 as my next trick. Thanks Ben for all the help from Panbo while I was doing research on product selection, my decisions on the XB8000 and GP33 were based on your reviews here and I discovered the beauty of n2k easy interfacing using the FI5002 here as well. I cannot recommend that product strongly enough to make N2k wiring easy as pie. Thomas, I picked up the Furuno Cable 000-154-054 6 pin that plugs into a jack on the RD33, connected it to the NMEA 0183 output of my KVH gyrotrac and viola, heading on the N2K network and displayed nicely on the RD33. Hopefully it will be as easy on your gyro. Has anyone learned a path to firmware upgrade? I need a Display in addition to my MFD12 Furuno, that can show wind. I need something that can be installed on a mounting bracket. Is the RD-33 from Furuno the best choice ? The RD33 is a nice instrument display in my experience, it matches your MFD12 style-wise, and it has two features the FI-70 doesn’t. They are dual N2K ports (though that also why the RD33 is not NMEA 2000 certified) and a built-in bridge between some some 0183 data messages and 2000. I have a RD33 connected to a NMEA 2000 network. The Navnet 3D have one odometer value and the RD-33 another. 2000Nm difference. Is it possible to configure the RD-33 to only show the value that is in the Navnet3D? I bought an RD-33 thinking it was a direct replacement for my dead RD-30 but alas the RD-30 has a 7-pin connector and the RD-33 has a 6-pin connector. Any suggestions?